Not only do we have the trailer but also a nice set of images from the film. 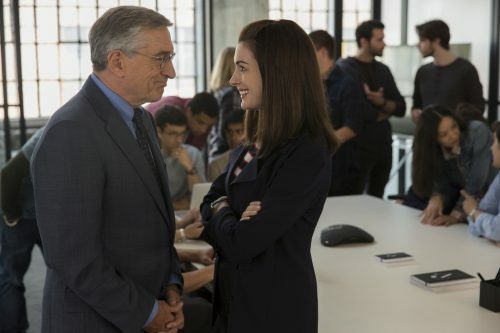 In “The Intern,” De Niro stars as Ben Whittaker, a 70-year-old widower who has discovered that retirement isn’t all it’s cracked up to be. Seizing an opportunity to get back in the game, he becomes a senior intern at an online fashion site, founded and run by Jules Ostin. Find out more about the film at the official website.